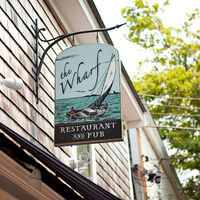 The Wharf Pub in Edgartown is donating a percentage of all food purchases to benefit the Friends of Edgartown Library. The "Friends" support the library's programs all year long. Here's a chance to join family and friends for a delicious meal and support a great cause at the same time.